Click to determine which curriculum to use. Click to see full list of Objectives taught. 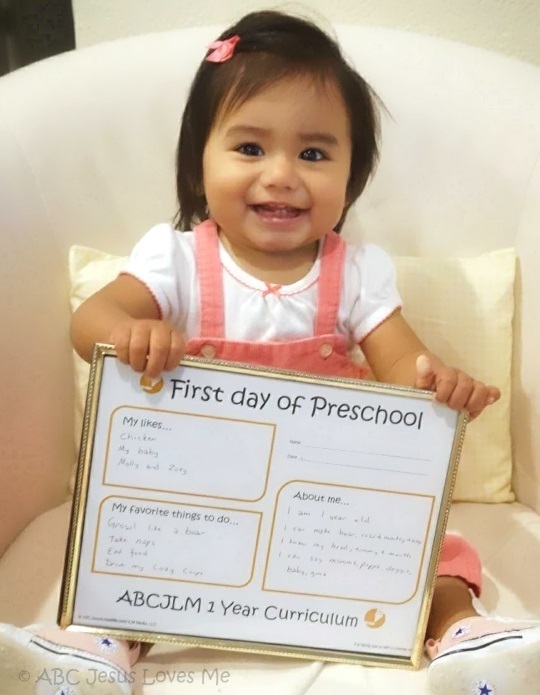 Academically, the 1 Year Curriculum introduces the child to learning through play. Along with expanding the child's vocabulary with new words and sign-language, the child is introduced to poems, colors, shapes, and animals. A "Book of the Week" shares with the child some of the best toddler books in print. 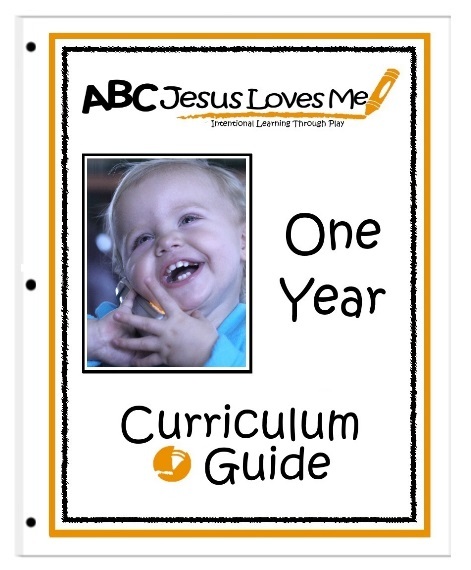 The 1 Year Curriculum introduces the child to popular Bible stories through the ABC"s. Stories are supported with memory verses, songs, and finger plays. Specific character traits and verses are provided each week to pray over the child. Development is an important part of the 1 Year Curriculum. The child learns basic obedience and self-care, and is introduced to crafts in an age-appropriate way. Each Lesson Plan includes an activity to improve fine and gross motor skills. The 1 Year Curriculum Guide contains approximately 85 pages which make up the complete 36 Lesson Plans in the 1 Year Curriculum. Also included are the Curriculum's Scope and Sequence and the Daily Schedules which divide each Lesson Plan into a three-day/week guide for focused activities. 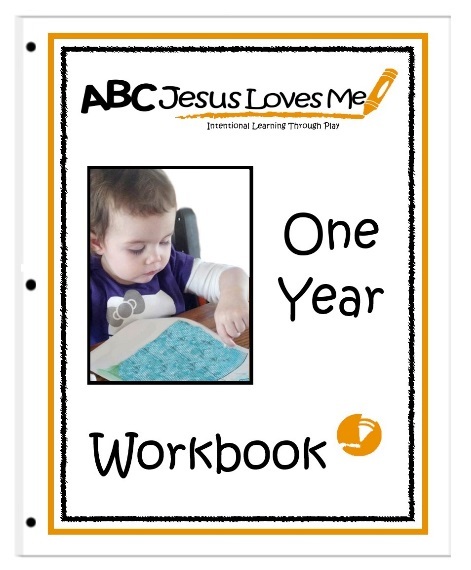 The almost 80 perforated worksheets in the 1 Year Workbook include all the worksheets used throughout the complete 1 Year Curriculum to create the Alphabet Bible Craft book and introduce the children to animals and shapes. Also included in color are the First and Last Day of School posters, “I am Learning” Objective Poster, and Character Scriptures. 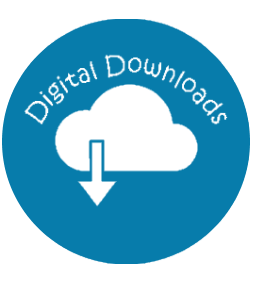 The 1 Year Curriculum Digital Downloads consist of Bible Song and Poem Cards. Print, hole punch, and bind together for easy access and mobility. Also available are Interactive Bible Stories. Purchase the 1 Year Curriculum Bundle and receive the Digital Downloads for free.